This outstanding example of a 2019 Mercedes-Benz C-Class C 300 Coupe is offered by Mercedes-Benz of Scottsdale. This Mercedes-Benz includes: BLIND SPOT ASSIST Blind Spot Monitor LEATHER SEATING PACKAGE Seat Memory MAGMA GREY/BLACK, LEATHER UPHOLSTERY Leather Seats PREMIUM PACKAGE Keyless Start HD Radio Hands-Free Liftgate Satellite Radio Power Door Locks Keyless Entry Premium Sound System Power Liftgate Power Folding Mirrors Remote Trunk Release AMG LINE Floor Mats BLACK NIGHT PACKAGE 64-COLOR AMBIENT LIGHTING HEATED FRONT SEATS Heated Front Seat(s) *Note - For third party subscriptions or services, please contact the dealer for more information. * Today's luxury vehicle is not just about opulence. It's about a perfect balance of performance, comfort and attention to detail. 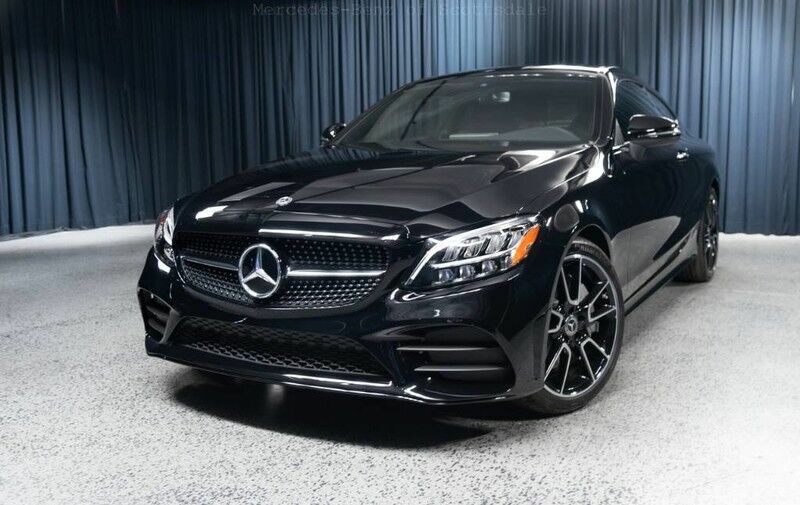 This 2019 Mercedes-Benz C-Class is the perfect example of the modern luxury. Added comfort with contemporary style is the leather interior to heighten the quality and craftsmanship for the Mercedes-Benz C-Class Contact Mercedes-Benz of Scottsdale today for information on dozens of vehicles like this 2019 Mercedes-Benz C-Class C 300. You deserve a vehicle designed for higher expectations. This Mercedes-Benz C-Class delivers with a luxurious, well-appointed interior and world-class engineering. You can finally stop searching... You've found the one you've been looking for. Based on the superb condition of this vehicle, along with the options and color, this Mercedes-Benz C-Class C 300 is sure to sell fast. There is no reason why you shouldn't buy this Mercedes-Benz C-Class C 300. It is incomparable for the price and quality.